HIGH PRESTIGE EXHIBITION STANDARD OIL PAINTING "St Pauls Millenium". 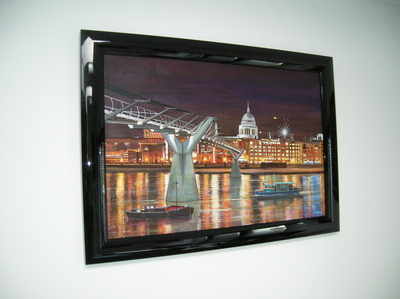 Beautiful painting combining the new Millenium bridge with the ever present St Pauls!! BY THE FABULOUS ARTIST DAVID ALDUS. Highest price received for one of his paintings is £14,000. "Lot's Wife" Absolute investment opportunity!